Just when investors were wondering what would be the catalyst to save the market from swooning to new lows, some good old-fashioned economic data crossed the tape, trumping all the headlines surrounding central bank stimulus, oil prices and junk bond defaults. As the week unfolded, the market was fed a steady diet of improving economic reports on the domestic economy. Highlights of those reports included Durable Goods ex-transportation for January, up 1.8% versus a 0.4% forecast, gross domestic product (GDP) growth at 1.0% (in the federal government’s second revision) versus a 0.4% forecast, Personal Income, up 0.5% versus 0.4%, and Personal Spending, up 0.5% versus a forecast of 0.3%. After hitting a multi-month low of 1.57%, the yield on the 10-year Treasury has crept back up to 1.75% last week on the back of these better-than-forecasted reports, as well as a general rotation back into equities with the bond market being a source of funds. Just as important is the S&P 500 trading up through the 50-day moving average at 1,950 that opens the way for an extended move to 1,985-2,000, where stiff overhead resistance lies. I think there is a good chance we see the market challenge this overhead level as WTI crude has made its way back up to the $33-$34 level amidst mixed headlines about a mutually agreed upon production freeze by oil-producing nations. 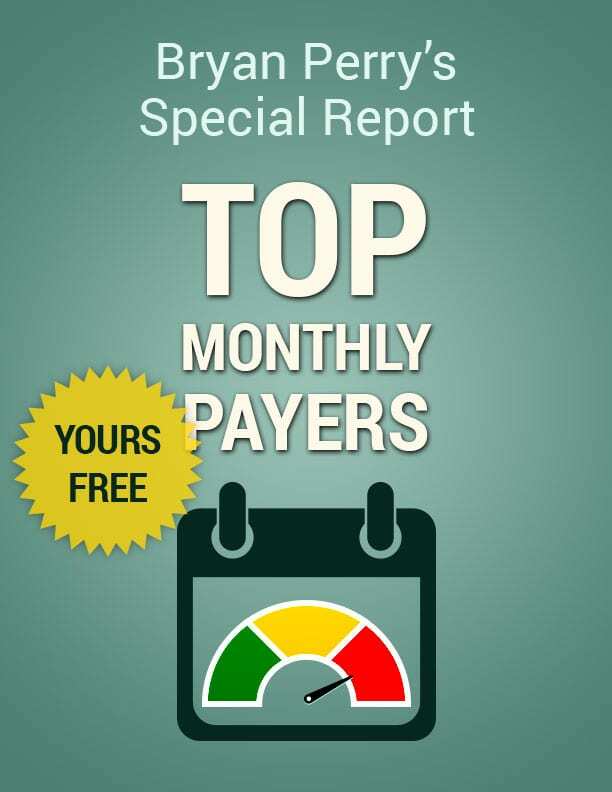 In light of the these positive developments, the previous week showed a much-needed uptick in inflation data from both the Producer Price Index (PPI) and Consumer Price Index (CPI) reports, providing some of the impetus for the upward reversal in equity prices. Most market pros still attribute the nascent rally of late to short covering in an otherwise broken market. Technically speaking, that would seem to be the case, at least for now. And with that thought in mind, I believe it’s still too early to buy back into the energy and commodity sectors without more sequential evidence that supports prices at current levels. The long and the short of this set of observations is that the U.S. economy is not rolling over into a recession any time soon, at least as evidenced by the recent data. Can the United States pull Brazil, Russia and possibly China out of their protracted downturns? That’s hard to say, but the U.S. economy, at $17.4 trillion, accounts for 22.4% of gross world product and is larger than the combined GDP of the next three biggest economies of China, Japan and Germany. So it stands to reason that if the U.S. economy gets healthier over the next few months, investor sentiment just might improve for large foreign markets, despite what are very tough economic conditions at present. 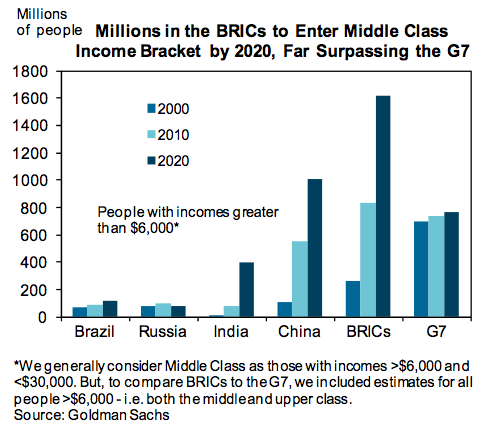 What’s important to note is that, according to research from Goldman Sachs, millions of citizens from the BRIC (Brazil, Russia, India and China) nations are going to be joining the ranks of the middle class by 2020. And at some point, investors should have some income-producing equity exposure to that dynamic set of demographics because that is where long-term growth is forecast for global purchasing power. However, India is the only BRIC country enjoying an expanding rate of GDP growth at present, so there is time to allow for the recessionary pressures in Brazil, Russia and China to run their respective courses. Once again, it still is too early in my view to go bottom-fishing outside domestic dividend-paying sectors that have posted solid fourth-quarter results that were in line with Wall Street estimates, while also providing reasonably good forward guidance. There may well be a bottoming process in the making for global markets, but it will be a very complex bottom coupled with extreme volatility that doesn’t warrant the high level of risk for the potential reward. The bottom line is that some of the storm clouds that have gripped investor sentiment are lifting, which is very good news for high-yield assets in particular. With a couple more weeks like the one we’ve had, we might start to see a definitive uptrend. In case you missed it, I encourage you to read my e-letter column from last week about what fears of recession are doing to Treasury yields. I also invite you to comment in the space provided below my commentary.